We’ve happily befriended some local folks who manufacture custom glass & Kevlar kayaks and canoes (not to mention snow-sleds and paddleboards). They are light and beautiful and you can see them crafting them right here in Freeport. They are Lincoln Canoe & Kayak on S. Main St., and they’re so smart that they offer you both instruction and the use of their beautiful boats via their Lincoln Outdoor Center, such that you will realize that you need and deserve one. 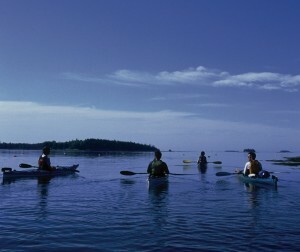 You can simply rent a kayak or canoe, or paddleboard, join them on a ½ day tour or even a multi-day “explore Casco Bay” trip in early August or late June. Their Kayaks are the definition of grace and elegance. Please tell Emma or Mark that the Brewster House sent you! Check out their website, www.lincolncanoe.comand store when you’re here and you’ll see why we’re crazy about them!! 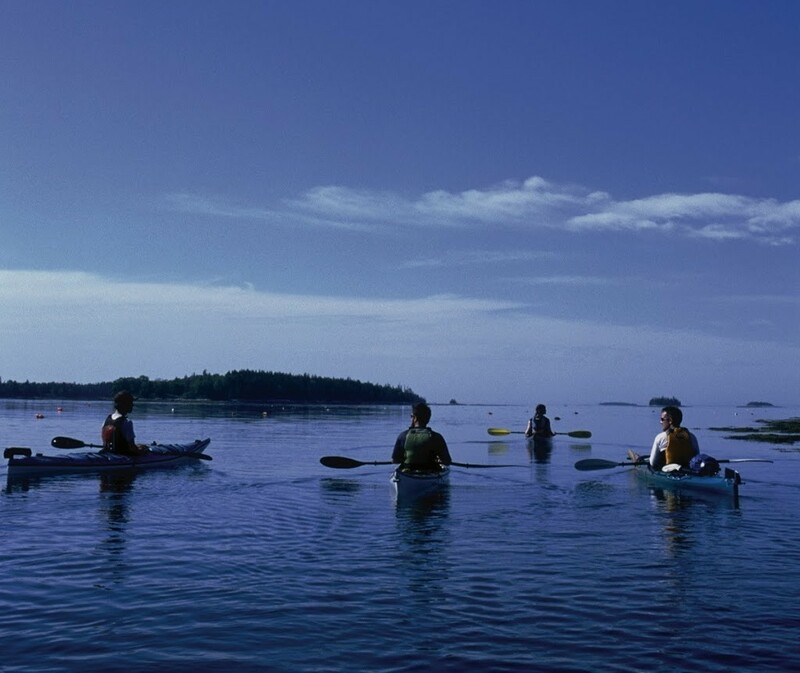 We can create an unforgettable Brewster stay/ Lincoln kayak adventure package for you. 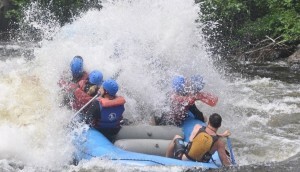 Also got an e-mail today from Magic Falls Rafting Company www.magicfalls.com promoting their $49 Thursdays Kennebec white water rafting adventure. Mary and I have rafted both the Penobscot and Kennebec many times, and will tell you it’s a thrill and fabulous way to experience the waterways and wilderness Maine offers. The Forks is a little over 2 hours north of here, the trip leaves at 10:15AM, hits the big rapids in the Kennebec Upper Gorge and has you back in camp at 1:30PM, so you can easily be back in Freeport for a long hot shower and dinner, and a room as soft and sweet as the Kennebec was wild and woolie. Of course, you could raft these rivers anytime, but the timing and price on this deal make for an excellent one-day side expedition. Some of our best times in Maine have been playing outside, so we hope you will try playing in the water here, there’s lot of it! !